Cut the top 1/2 inch off the garlic heads. Add olive oil to the cut heads and sprinkle with basil. Roast in 420-degree oven for 30-50 minutes. The garlic is done when tender to a fork. Boil the cubed potatoes in salted water until fork tender, drain, and mash lightly. Add butters to potatoes and continue to mash. Add pepper, salt, cream, and cheese and mash until smooth. Squeeze garlic into the mix and whip until smooth. You can crumble bacon into your mashed potatoes for an extra crunch; or for a home-style taste, leave the skin on the potatoes. 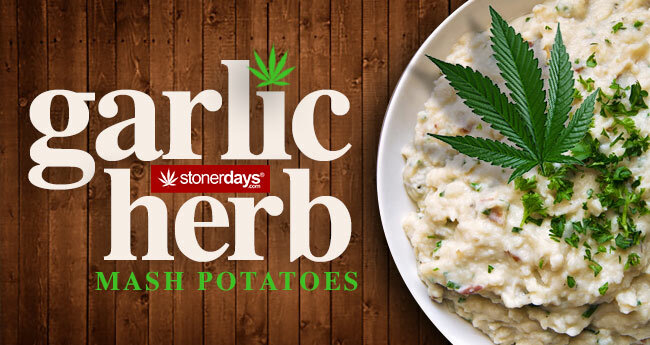 This entry was posted in Featured, Stoner Cookbook. Bookmark the permalink.